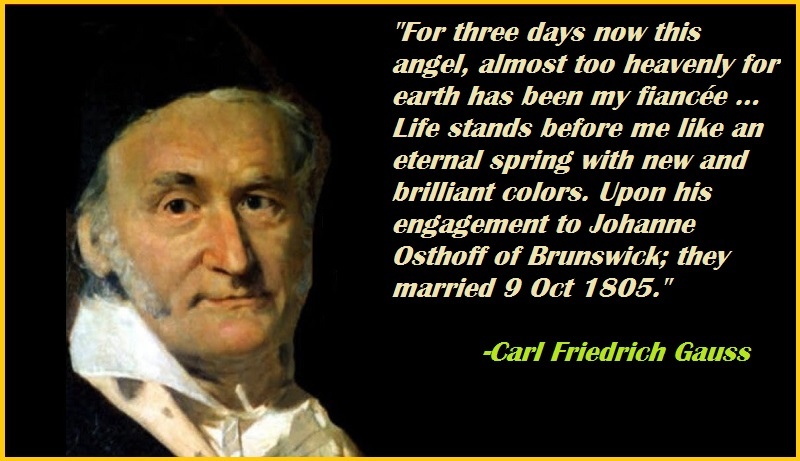 Carl Friedrich Gauss:- Carl Friedrich Gauss (30 April 1777 – 23 February 1855) was a German mathematician and physicist who made significant contributions to many fields in mathematics and sciences. 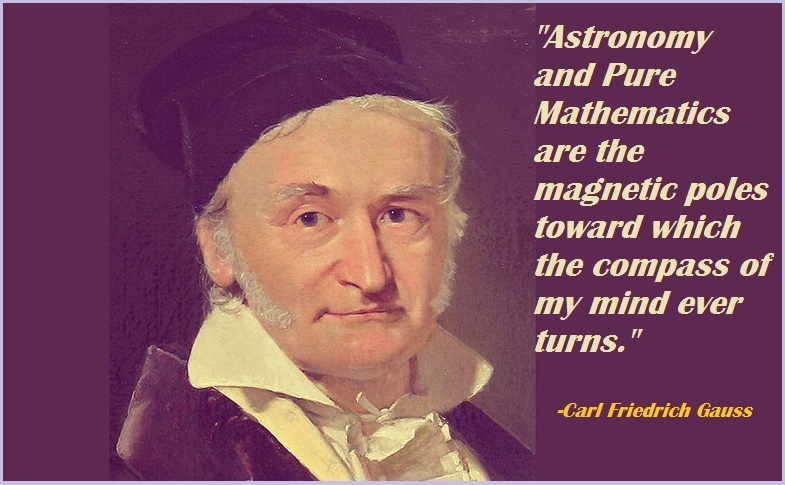 Sometimes referred to as the Princeps mathematicorum (Latin for “the foremost of mathematicians”) and “the greatest mathematician since antiquity”, Gauss had exceptional influence in many fields of mathematics and science and is ranked among history’s most influential mathematicians. 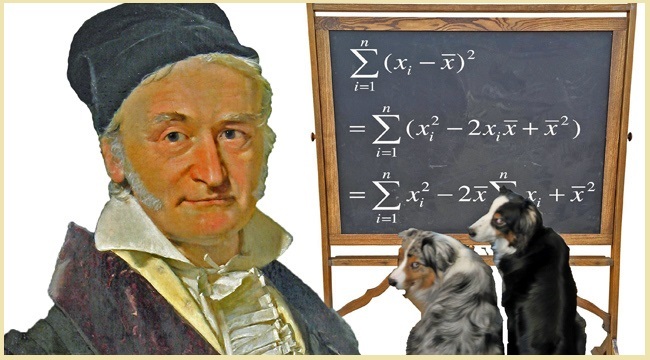 Gauss was the only child of poor parents. He was rare among mathematicians in that he was a calculating prodigy, and he retained the ability to do elaborate calculations in his head most of his life. “Ask her to wait a moment. I am almost done.